Originally made in a week for ESNE's 2013 Hackathon. Note: This game was made in a game jam, and as such it is not completely bug-free and is missing a couple of features. Click and drag to move your character, click again to jump, and click again when close to a wall to walljump. Make sure you don't try to jump on the same wall too much: you need to go back and forth between walls! The bandaids represent your health. You can lose health by touching fire, or by falling from a great height. When you get to a rooftop, make sure to fall on the safety trampoline to avoid taking damage! After you've landed, you can jump the fence and go to the next building. You can customize the difficulty of the game before you start, and this has an impact on the score multiplier: The harder you make the game, the higher the multiplier! -Starting Band-aids: The initial number of hits you can take. -Fire obstacles: Places stationary fire obstacles inside the building. -Direction sign: A big sign on the rooftop that reminds you where the safety trampoline is, in case you forgot. 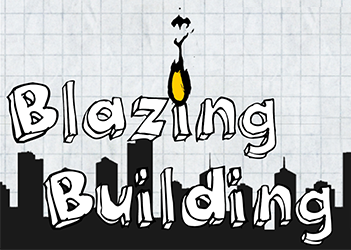 -Falling debris: Fiery fragments of rock that fall off the building while you're jumping off the rooftop.